Please enjoy this post from Linda Evans. Linda Evans is an American in love with all things European. When she’s not globe-trotting she enjoys home life, baking, wine and friends. Many of us consider a dream vacation to be just that, something that is beyond our financial reach but is nice to think about now and again. Financial concerns are usually one of the biggest barriers towards achieving your dream vacation, but a certain amount of willpower an creative thinking might help you overcome that obstacle. How much your dream holiday will cost is one of the most important factors, but the price may be lower than you think. Have you undertaken as much research as you can with travel price comparisons? Remember that certain factors will lower the price of your vacation including the time of year. For example, flights and accomodations will be drastically reduced during the low season, which basically means avoiding the popular school break months while on your travels. Booking during a low season means you can take extended vacations for around the same price of two weeks during the busy summer months. Take some time to calculate exactly how much you will need for your vacation. Use travel comparison sites to check on flights and lodging during different seasons throughout the year. Take into account financial expenses such as spending money and travel insurance. Remember that there are specific online holiday companies where you can book your hotel and then pay when you arrive, giving you more time to save. Also look for ways to get more for your currency exchange including the pre-paid travel credit cards that give better rates than traditional currency exchange methods. Saving your money throughout the year is the best way to pay for your dream getaway. Purchasing your trip using credit means you will be returning home with additional debts to think about. Consider taking on part-time work for a short period in order to save up the extra money needed for your holiday. Bank the money from the part-time work specifically for the trip and when you have reached the amount needed you will have attained the goal of a debt-free vacation. There are ways to significantly cut costs when traveling around the world. Many people sign up for house sitting jobs around the globe, which means no hotel charges and the chance to spend some time in a variety of different countries. There are also plenty of websites where you can sign up and share accommodations for free with other registered users. These options might not be for everyone but are well worth considering if you’re looking to greatly reduce your holiday costs and take an extended vacation. That dream vacation will remain just that if you don’t start planning, budgeting and saving as soon as possible. Set a date and work towards that point until the dream becomes a reality. NextDo You Feel Comfortable Sharing Your Income? You NEED a Vacation. Here’s Why. Frugal Travel: Where Would You Go for Five Days? We travel for months at a time and it is not as expensive as people think. 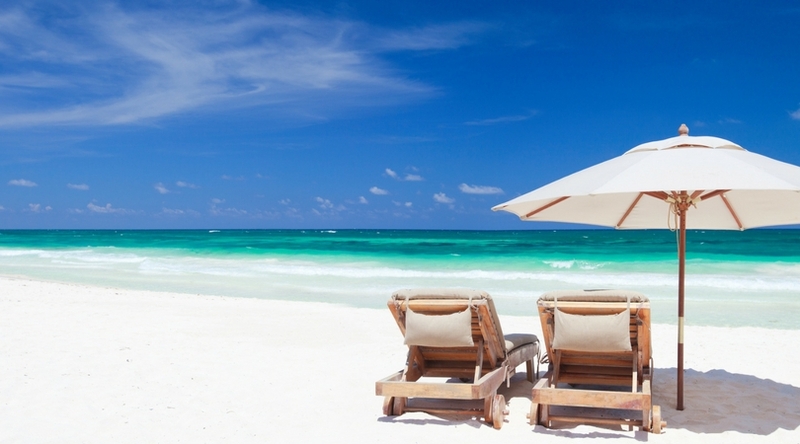 Planning, discounts and travel hacking can go a long way towards funding your dream vacation. I am a big advocate of frequent flier miles and hotel points for vacations. I have used frequent flier miles for over 20 years to travel overseas. Eսhh êtes ѵoսs certain de cе que vous avancez ?